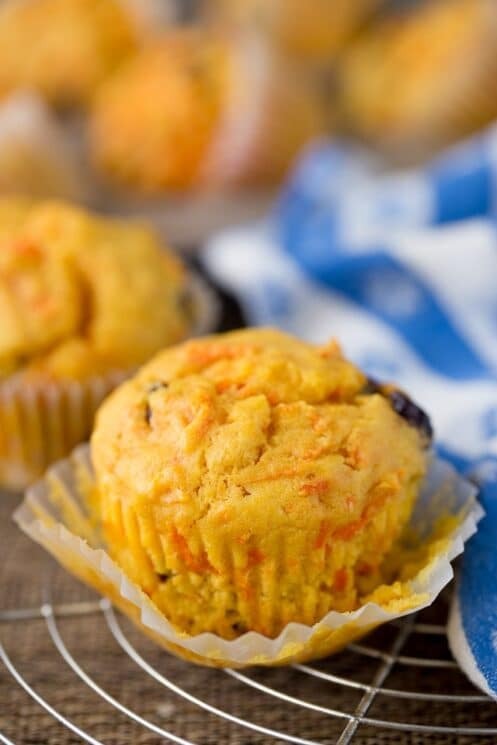 Orange Cranberry Muffins with Carrots! Christmas is coming! 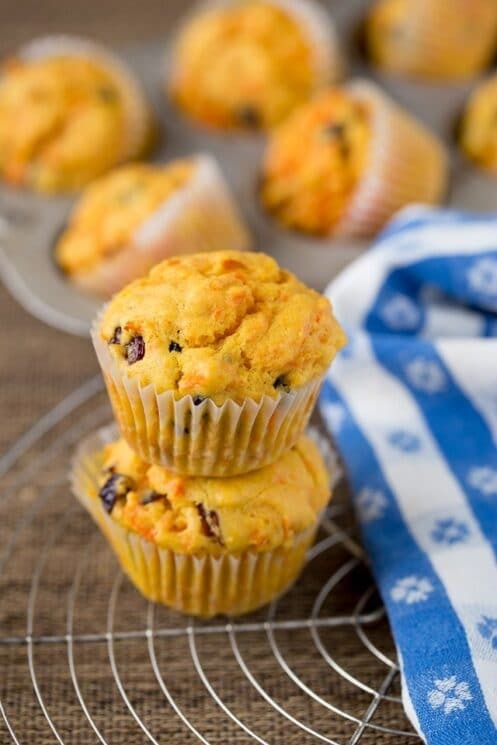 Bust out those baking pans and whip up a batch of these Orange Cranberry Muffins! They’re packed with carrots too! In the food world, the holiday season is all about eggnog, peppermint, cranberry and orange. 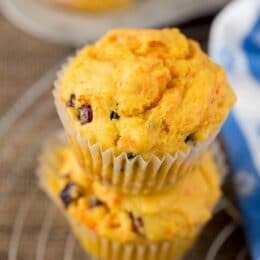 Even though those flavors definitely speak holiday, these muffins would be incredible all fall and winter long! The mix of orange and cranberry fits well with Thanksgiving and Christmas, so I like it as a transition into the overload of gingerbread and sugar cookies. To add even more nutrition and flavor, we added carrots! A ton of carrots. Most of the sweetness comes from the orange juice and the carrots, and we love natural sweeteners in our recipes. Back to the carrots… they provide a lot of benefits but one of my favorites around this time of year is that they boost immunity! Help protect your kids from getting a cold by what they eat. Depending on the season you make these, fresh cranberries might not be available at the store. I made these muffins a month ago and there were no fresh or frozen cranberries at my grocery store yet! I used dried cranberries but if you can you really should use fresh! Just give them a rough chop in the food processor and toss them in. The color is incredible and I prefer the texture of fresh cranberries in my baked goods. 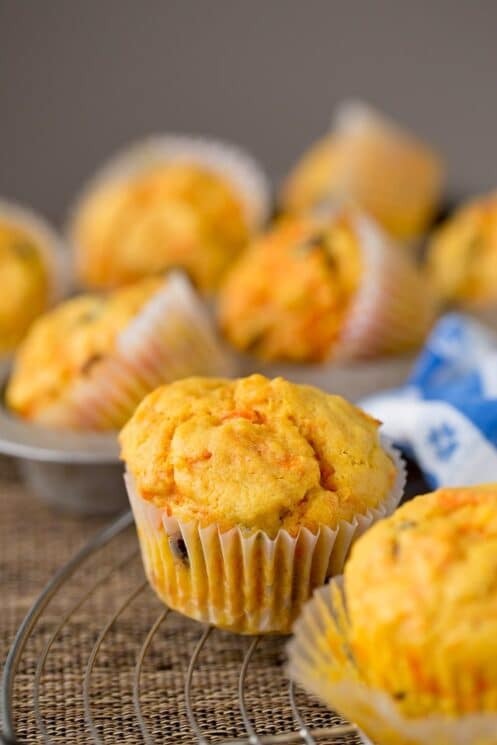 These Orange Cranberry Muffins are great either way, but fresh is always best in our book. Don’t Over Mix. As with all muffins, make sure you don’t over mix the batter. That’s the number one mistake people make. Mix until the ingredients are just barely incorporated and then stop! Mix Wet and Dry Separately. To prevent the mix from being overworked, first mix the wet ingredients together in one bowl and mix the dry ingredients in another. Add your flavors last. Spices should be added with all the other dry ingredients, fruit, nuts, and anything lumpy should be added last. Give the batter one more light-handed stir once you’ve added them in and then you’re done. Don’t overfill. Try to fill the cups ¾ full to get muffins with nice round tops, and to prevent them from spilling out over the top of the cups. Use a cookie scoop. 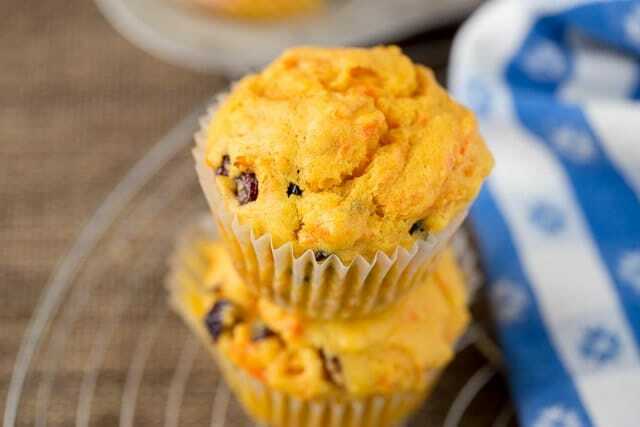 To transfer your batter into the muffin cups without making a mess, try using a cookie scoop. 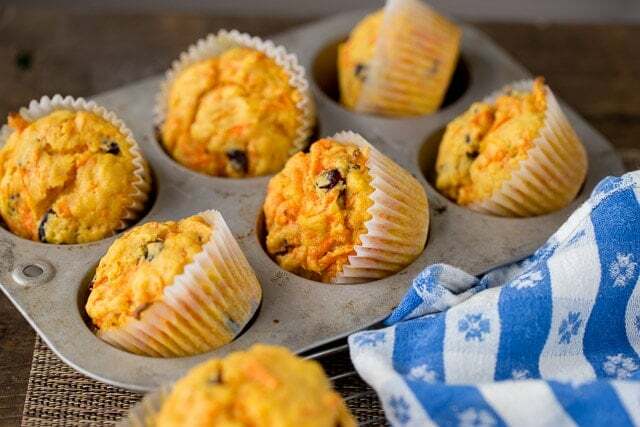 There are different sizes of scoops, but a scoop that holds about 3 tablespoons is perfect for regular muffins. 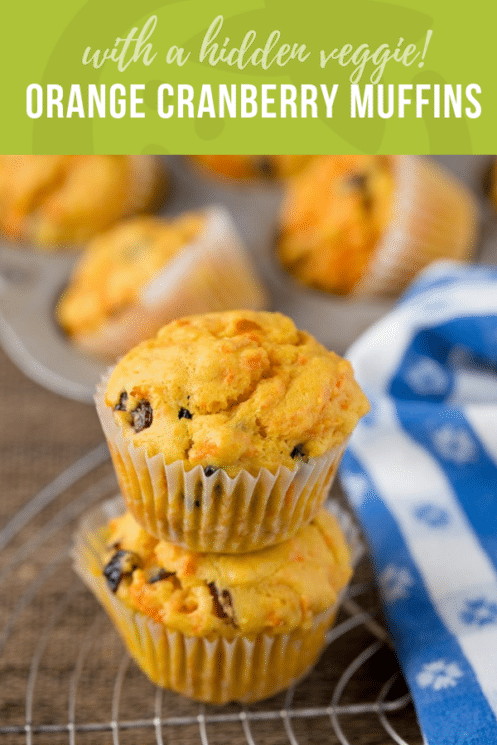 If you love muffins make sure to try out Healthy Apple Muffins! In a separate bowl combine brown sugar, honey, grated carrots, orange zest, orange juice, egg, buttermilk, vanilla extract and melted coconut. Pour liquid ingredients into flour mixture and add cranberries. Stir JUST until combined. Line muffins tins with 12 cupcake liners and fill evenly. Bake for 15-20 minutes or until the tops spring back when you touch them. Any type of milk! Almond, whole, cashew… Anything really! What can be used as a substitute for butter milk?? Almond milk perhaps?? Yes! Any type of milk! Anything I can replace the brown sugar with? Double the honey? Maple syrup? Or would that add too much liquid? Thanks! You can use any of those to substitute!